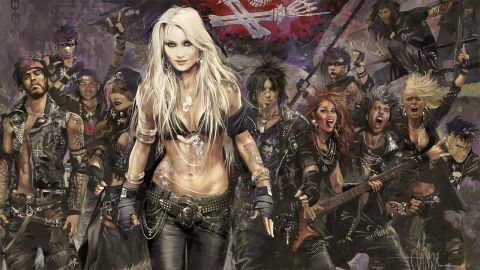 The German metal queen’s passionate fanbase must feel desperately ravenous after a six-year wait for new material. However, few artists have such a profound connection to their fans as Doro. This sumptuous, 25-track double-disc set mitigates the delay, broadly divvying up as an album of hard rockers plus an album of soft ballads. Doro has always decisively nailed both of these approaches, but Forever Warriors, Forever United ramps them up to the nth degree; Bastardos is Doro’s most fiery headbanger, It Cuts So Deep her most tender love song, and All For Metal her most infectious, rousing battle chant. There’s a terrifically entertaining duet with Amon Amarth’s Johan Hegg, a tear-jerking song for Lemmy, and a general focus on precision songwriting that makes every song here a worthy, memorable addition to Doro’s long and noble canon. Buy Forever Warriors, Forever United now from Amazon or from HMV.